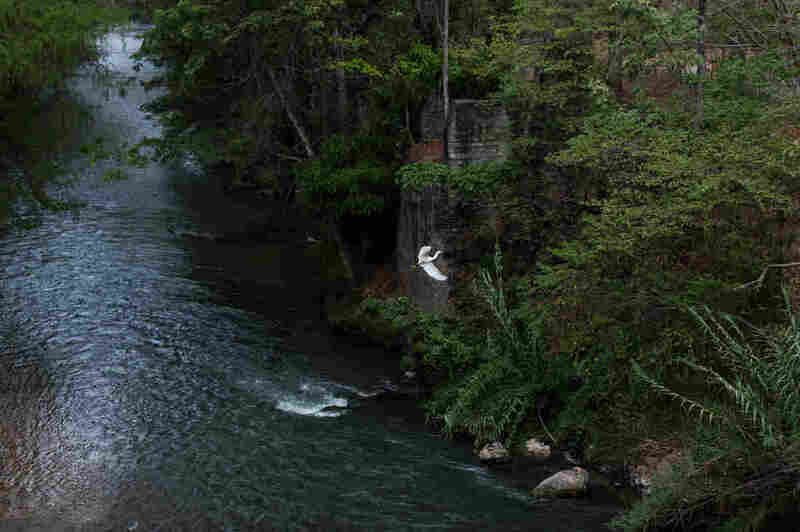 Before The U.S.-Mexico Border, Migrants Must Cross The Guatemala-Mexico Border Migrants from Central America who end up in the U.S. must cross the Guatemala-Mexico border, where immigration control is light to nonexistent. Quicker journeys are spurring more illegal immigration. Some Central American migrants start their journey through Mexico at the Guatemalan border town of Gracias a Dios. Mario Garcia sits in the doorway of his tire shop in Gracias a Dios, Guatemala, a short distance from the border with Mexico, watching the unfettered flow of migrants headed north. 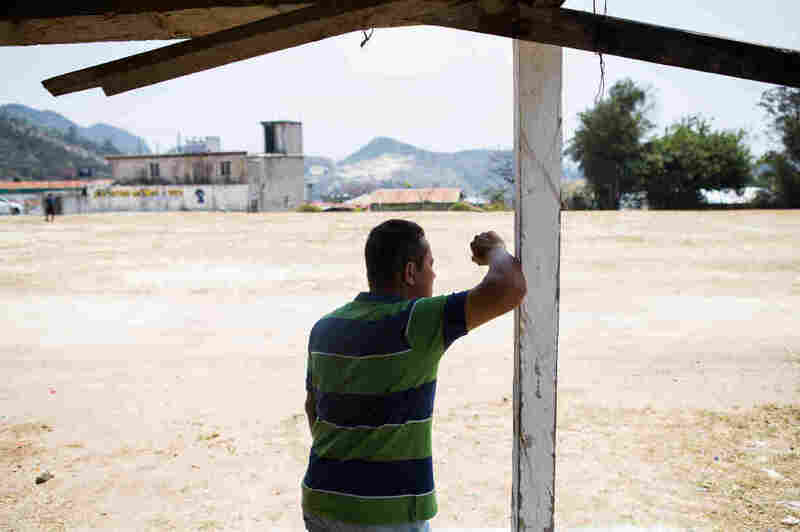 By his estimate, up to 1,000 migrants cross over into Carmen Xhan, Mexico, every day. "This is an open border," Garcia says, with a knowing smile. "There's no immigration control on this side or the other side. Anyone can go across freely." The migrant trail that begins in Central America and ends in the United States must cross the Guatemala-Mexico border — where immigration control is light to nonexistent. 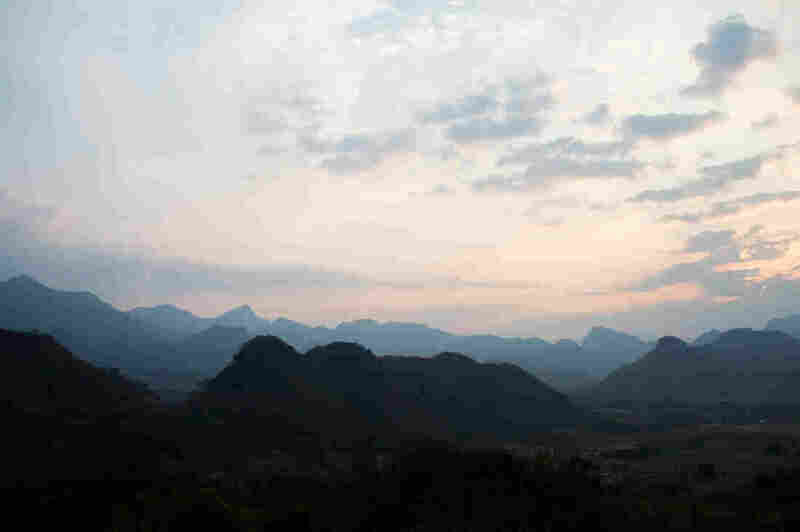 More and more migrants are choosing to start their journey up through Mexico in the remote, hilly village of Gracias a Dios — Spanish for "Thanks to God." In recent months, Gracias a Dios has become a trafficker's boomtown, and what happens here helps explain the recent surge of migrants entering the United States. 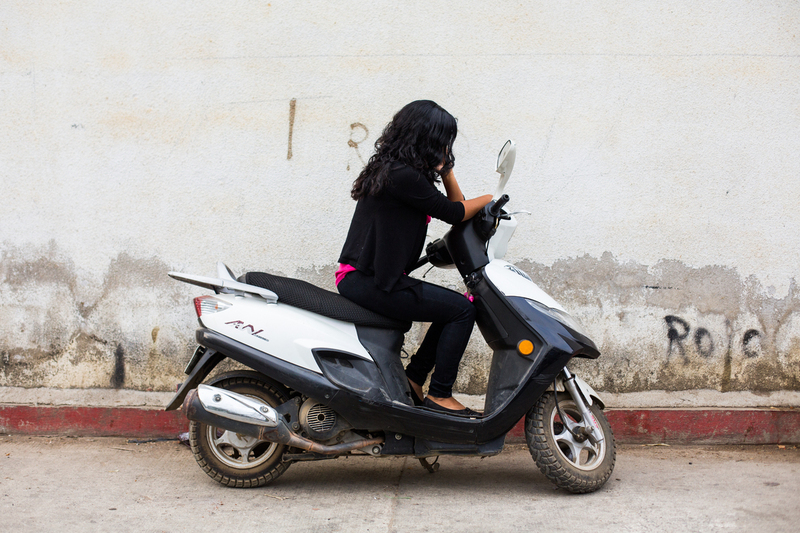 Dalila, from La Democracia, Guatemala, sits on a motorcycle in a small town near the border with Mexico. She plans to leave later this month for the United States with her 5-year-old daughter. A well-established network of coyotes, or human smugglers, is taking advantage of lax border controls and Mexico's fleet of commercial express buses, according to interviews with migrants, Guatemalan border residents and U.S. immigration authorities. That means the journeys have become quicker and safer, which spurs even more illegal immigration. Smugglers are billing these routes as a less arduous alternative to the massive, highly publicized caravans of migrants plodding north on foot. "There's some opportunity to provide a smoother, faster, more well-planned movement than just starting out walking and taking a 30- to 45-day journey through all the different countries and across all the different borders," said Derek Benner, executive associate director of Homeland Security Investigations. The mayor of Gracias a Dios, Marvin Hernandez, explains that the village came into being nearly a century ago when a family fleeing the Mexican Revolution settled just across the border in Guatemala. 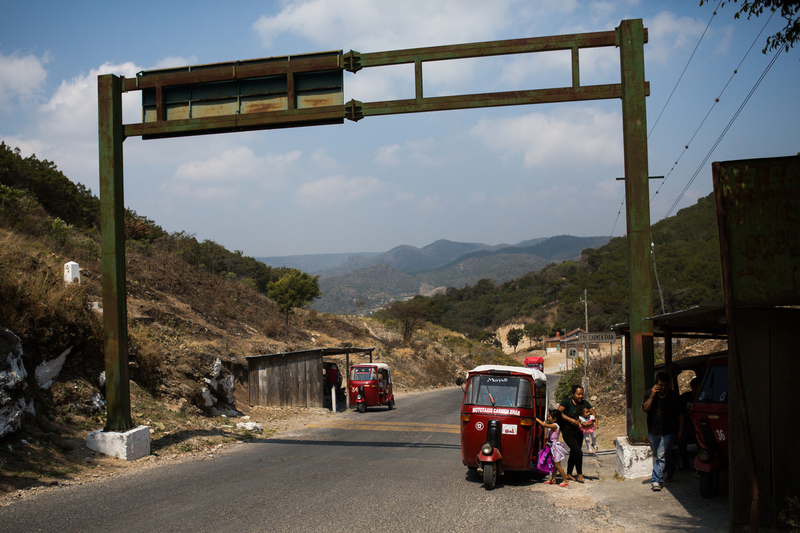 A road stretches along the border with Mexico between La Mesilla and Gracias a Dios, two border towns in Guatemala that are both being used officially and unofficially to pass between the two countries. "They said, '¡Gracias a Dios!' and it stuck," Hernandez recounts. "Now the migrants crossing in the other direction are saying it." Hernandez says he noticed about two years ago that more travelers were passing through the town, population 750. "Since then, it's increased a lot," he says. Roughly 150 adults and children are gathered at a stash house, waiting around for their trip northward. Hernandez built a restaurant, Comedor Azteca, with money he earned when he worked as a cook in Virginia in the early 2000s. "The migrants come in and eat a meal before they cross," he says. "It's good for my business." Day and night, buses arrive here from the state capital of Huehuetenango and unload families from El Salvador, Nicaragua, Honduras and the interior of Guatemala. Some of them assemble at a run-down, aqua-colored stash house in the center of town, behind a soccer field and next to a Jehovah's Witness kingdom hall. On a recent afternoon, about 150 adults and kids were waiting around for their trip northward — spilling out the front door, sitting under trees and lounging on the grass. Juan, from El Salvador, was resting in a guesthouse in Gracias a Dios before beginning the trek through Mexico with his friend. They scattered when a reporter approached. Then a heavyset, scowling man bolted out of the stash house, waved his arms and yelled, "This is private property! Get lost!" Migrants who cross at Gracias a Dios typically pay coyotes to arrange transport all the way to the U.S.-Mexico border — 1,800 miles away. The going price is $5,000 to $7,000 for a package deal for an adult and a child. Passenger vans and other vehicles pick them up in Gracias a Dios and carry them to the city of Comitán, an hour inside Mexico. Several local observers, including Gracias a Dios' mayor, say the migrants breeze through a Mexican federal checkpoint, just south of Comitán, because the coyote pays off immigration officials. Morning on the Río Azul in Guatemala just south of the border with Mexico. Minimal police presence in the countryside between interior parts of Chiapas, Mexico, and Guatemala allows for relatively easy passage across the border. 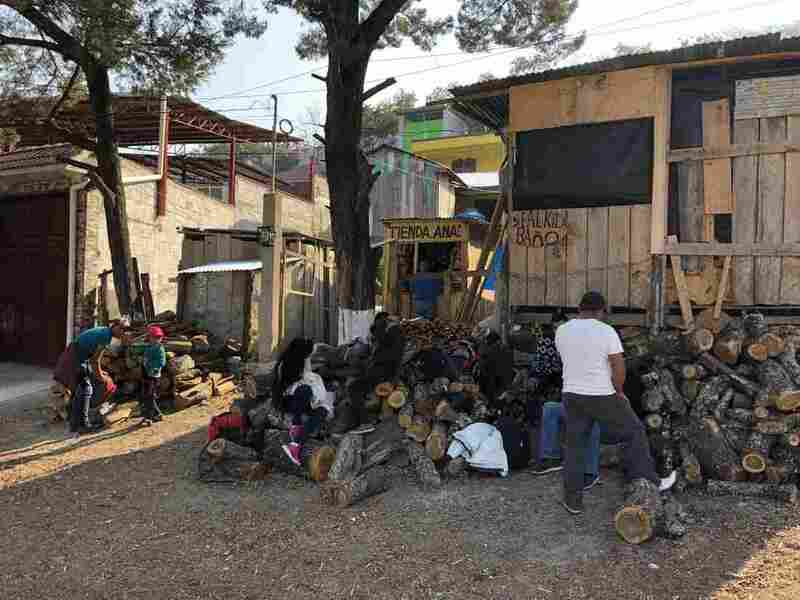 In Comitán, the migrants board tourist buses to Mexico City. There, they transfer to express buses that speed to places near the U.S.-Mexico border like Ciudad Juárez, where they wade across the shallow Rio Grande and surrender to the Border Patrol in El Paso, Texas. If there are no delays, the trip can take as little as three days. Julio, who declined to give his last name because he plans to cross into the U.S. illegally, traveled from El Salvador's capital, San Salvador, to Gracias a Dios to avoid the caravans and take the bus route instead. Julio is traveling with his friend Juan. They made the choice to leave El Salvador together, as opposed to in a caravan, after seeing in the news negative treatment and attitudes toward caravans. "Big caravan, big crime, big problems," he says, standing outside a boarding house across the soccer field from the stash house. "I'll cross with two or three other people, and we'll get where we're going and try not to attract attention." Julio knows he needs to sneak into the U.S. undetected by the Border Patrol because adult migrants who are caught traveling alone are typically detained and put on a fast track to deportation. Many migrants are also aware that if they bring a child with them, they won't be detained — the so-called "catch and release" policy that infuriates President Trump. If migrant families ask for asylum and pass a credible-fear interview, immigration agents usually release them into the U.S. with a notice to appear in immigration court, because detaining families is difficult under current U.S. policies. Javier is staying in a guesthouse in Gracias a Dios with his wife and three children. He was waiting for a smuggler to help them cross into Mexico. He and his family recently fled El Salvador, where, Javier says, the violence was inescapable and jobs nonexistent. That is Javier's plan. He's also from San Salvador and staying in the same rooming house as Julio. He declined to give his full name because he plans to cross into the U.S. with his wife and three kids. Asked why his family was making the trip north, Javier says, "President Trump has to defend his nation, but the United States for us is like a mother, a mother who looks out for these small countries that we come from." Trump is contending with an increase in unauthorized border crossings, which officials said were on pace to hit more than 100,000 last month, the highest level in more than a decade. On Sunday, Trump announced that Secretary of Homeland Security Kirstjen Nielsen, whom he reportedly clashed with over the surge, would leave her post. In late March, Trump threatened to close the U.S.-Mexico border if Mexico didn't act to stop the flow of migrants. Within days, Trump backed off that threat and then made a new one. He gave Mexico a "one-year warning" to address the migrants and drugs crossing the border or he would slap tariffs on car imports from Mexico. Dusk settles on the border between Guatemala and Chiapas, Mexico. U.S. officials estimate they apprehended more than 100,000 people crossing the U.S. Southern border last month — the most in more than a decade. Trump also credited Mexico for doing more to address immigration. On Friday, he tweeted: "Mexico, for the first time in decades, is meaningfully apprehending illegals at THEIR Southern Border, before the long march up to the U.S. This is great and the way it should be. The big flow will stop." But there is no evidence of that in places like Gracias a Dios, where the flow of immigrants continues to grow. The majority of them are families and unaccompanied children from Central America, which represents a historic shift in immigration. It used to be that the Border Patrol mostly apprehended Mexican men crossing into the U.S. to find work. On warm nights, in plazas across Mexico, mariachis still sing sad songs of the exodus of their countrymen who went to el Norte to pursue their dreams. "I swam the Rio Grande, ignoring the dangers. La migra turned me away, and I found myself in Nogales. I went to another border crossing, and they pushed me to Juárez," say the lyrics to the famous migrant ballad Los Mandados. But all that has changed. The Border Patrol now apprehends more Central American families. But why now? Why the current surge of migrants? "Social media has motivated lots of people, hasn't it? It's saying if you don't go to the U.S. now, you might not be able to go tomorrow," says Olinto Laparra, a prominent businessman in the region of Gracias a Dios. He says he knows lots of people who've left for the U.S. lately. 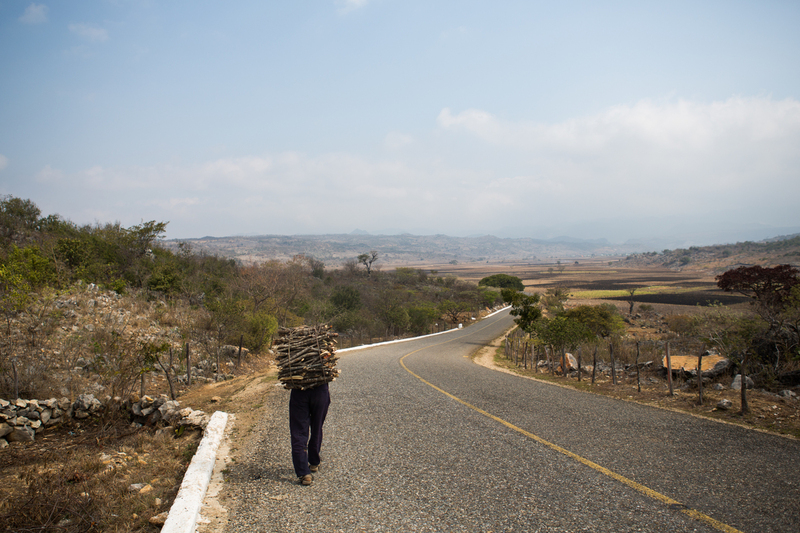 While he's talking, he steers his pickup to avoid giant potholes that pock the highway that hugs the rugged Guatemala-Mexico border. "How do you like our roads?" Laparra asks sarcastically. "Look at our sad reality." He blames state and federal leaders in Guatemala for stealing money they're supposed to use to maintain highways and bring services to remote villages. 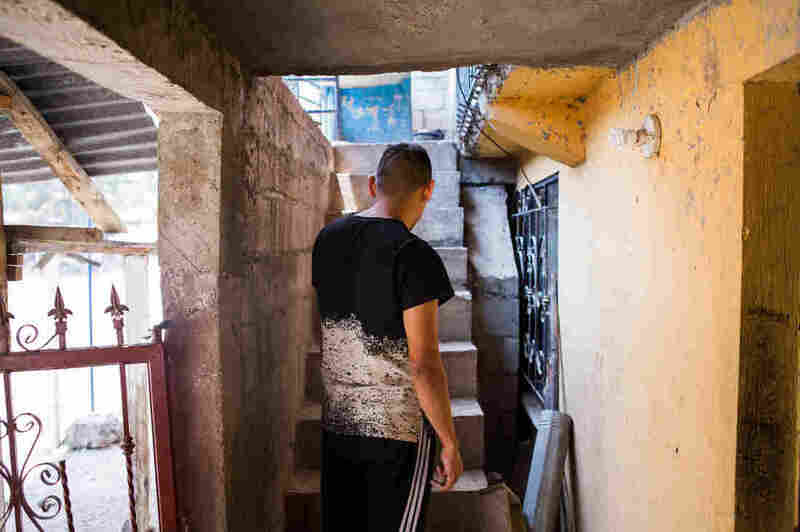 He says it's all part of a corrupt system that perpetuates poverty and allows rampant gang violence, and that is what's driving Guatemalans out of their homeland. "Mr. Trump can close the border whenever he wants to," Laparra concludes, "but the people will keep crossing. They have a lot of desire to overcome and get ahead."